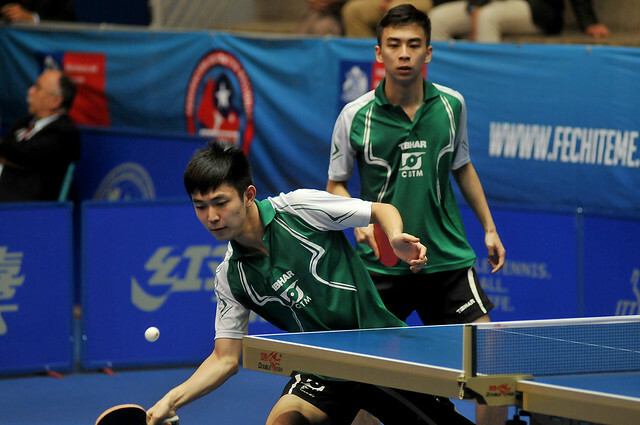 Successful just over one year ago in Cartagena de Indias, Brazil retained their Men’s Team and Women’s Team titles at the Sparta 2018 ITTF Pan American Championships in the Chilean capital city of Santiago on the late afternoon and evening of Thursday 22nd November. The top seeds in both events, in the title deciding contests it was success at the expense of the United States. Fielding the trio of Eric Jouti, Humberto Manhani and Thiago Monteiro, a three matches to nil victory margin was recorded in opposition to the combination of Kanak Jha, Nikhil Kumar and Nicholas Tio; the win coming after their female colleagues, Gui Lin, Bruna Takahashi and Jessica Yamada had prevailed in a full distance five match encounter against Wang Xinyue, Wu Yue and Lily Zhang. In the Men’s Team event the United States commenced play as the no.9 seeds; in the counterpart Women’s Team competition in the no.2 seeded spot. Star of the show for the champions elect was Bruna Takahashi, positive from the gun. After Wu Yue and Lily Zhang had beaten Gui Lin and Jessica Yamada, a contest in which the United States duo made a tentative start before finding a rhythm to their play (6-11, 11-5, 11-5, 11-13, 11-6), Bruna Takahashi accounted for Wang Xinyue in four games (6-11, 11-6, 11-6, 11-9). 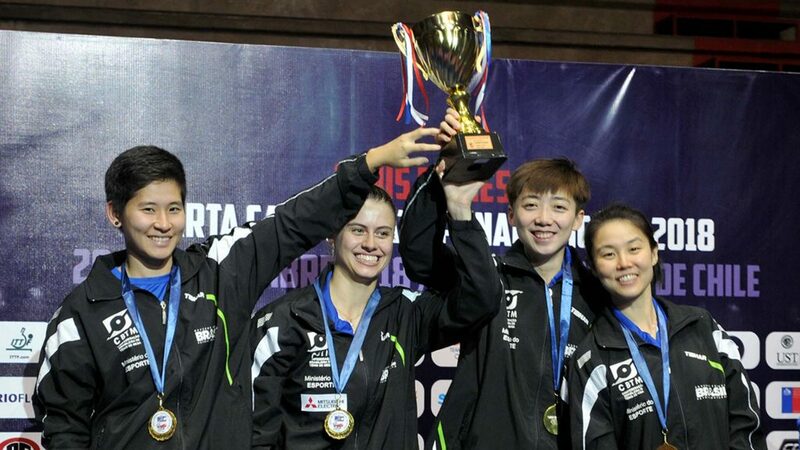 A fine performance but her victory over Wu Yue in the crucial deciding fifth match, the player who in 2015 had secured gold at the Pan American Games, was even better. Bruna Takahashi prevailed in three straight games (11-9, 11-8, 12-10) but in the third game she did give coach Hugo Hoyama some moments of stress. She raced into a 5-1, before eventually being required to save one game point when trailing 9-10; the point was saved, the next two were won, Bruna Takahashi screamed in ecstasy. The win came after Gui Lin had beaten Lily Zhang (11-7, 4-11, 12-10, 13-11); followed by a contest where on her fourth match point in the fifth game, after also saving one match point, Wang Xinyue overcame Jessica Yamada (11-6, 10-12, 9-11, 11-7, 14-12). Notably both Gui Lin and Jessica Yamada caused their opponents problems with subtle variations in their services; Gui Lin using the reverse forehand service, Jessica Yamada adopting the squat technique in the guise of China’s Ding Ning, varying the contact on the ball, sometimes forehand, on other occasions backhand. Meanwhile, especially for Eric Jouti in the Men’s Team final, there was a sense of revenge. In the opening fixture in the group stage, the United States had caused a major upset, they had overcome Brazil by three matches to one; the 24 year old had lost to Kanak Jha in five games (11-6, 11-7, 3-11, 6-11, 11-1). In the final he more than made amends. After Humberto Manhani and Thiago Monteiro had eventually overcome Nikhil Kumar and Nicholas Tio in a tension packed encounter (9-11, 13-11, 13-11, 9-11, 11-5), both teams aware of the need for a good start; Eric jouti, focused and resolute avenged the earlier defeat. He beat Kanak Jha by a similar margin to which two days earlier he had experienced defeat (8-11, 11-5, 11-9, 7-11, 11-6). Breathing space, Thiago Monteiro accounted for Nikhil Kumar (11-13, 11-9, 12-10, 11-5) to seal victory. Team events concluded; attention now turns to the individual events; play concludes on Sunday 25th November.